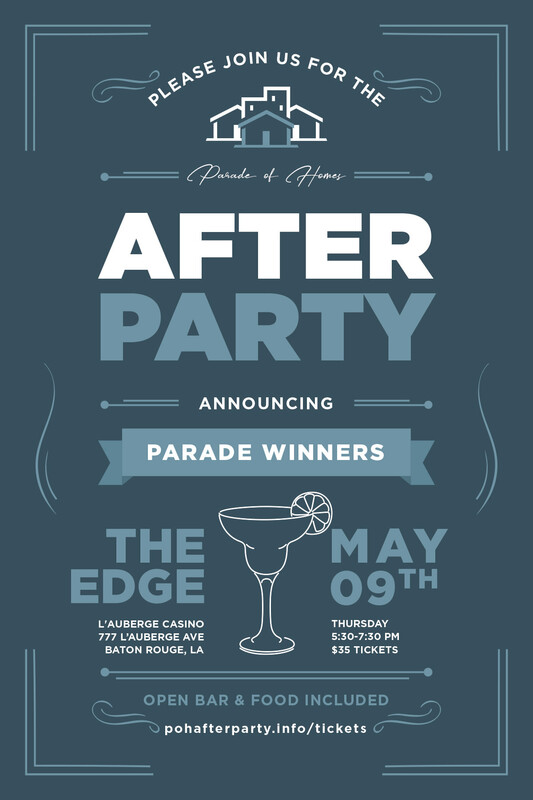 Join us in celebrating Parade of Homes at The Edge @ L'auberge Casino Resort! We'll be gathering to honor our builders and sponsors that made Parade of Homes happen and celebrating the successes of another year. Tickets are $35 a piece and include food and an open bar. Stay a while, find out who had the most popular homes along the route, and finish off your evening at 18 Steak or playing in Baton Rouge's top casino.